With continued exposure to the elements, the sun’s harmful rays, and the natural process of ageing, our skin begins to lose its elasticity over time, resulting in the appearance of fine lines and wrinkles. 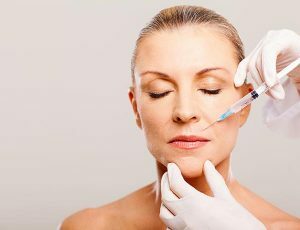 By far, the most popular method of reducing or removing these unwanted age lines in the UK is with regular treatments of anti-ageing injections, also known as anti-wrinkle injections. The treatment is simply a muscle relaxing injection – the underlying muscles relax temporarily, softening the facial appearance. We perform anti-ageing injection treatments at our state of the art clinics in Southbourne, Bournemouth, and our Harley Street location, in London, we have had excellent results in reducing and softening the appearance of wrinkles and fine lines in both our male and female patients. The procedure provides instant results, minimal recovery time and a price that’s affordable. Find out more about the procedure below, or if you would like to arrange for a private consultation please call the office, or fill out our contact form and one of the Wentworth Clinic team will respond to your enquiry. Following your initial consultation, and once you understand what is involved in the procedure; side effects, and recovery information, we will schedule your appointment at the clinic of your choice. The procedure is simple, safe and easy to perform. Using a tiny micro-needle, the muscle relaxing injection is introduced to the areas where deep lines and wrinkles appear. This temporarily relaxes the muscles, and there is an instant softening of the facial appearance. Full use of muscles quickly returns, without the appearance of unwanted lines and wrinkles. Though rare and minimal, temporary bruising and other effects can occur following treatment. Try to exercise your treated muscles for the 1st hour after treatment (e.g practise frowning, raising your eyebrows and squinting). This helps to work the injection into your muscles. Although this may help your procedure outcome, it will NOT impact on your treatment negatively if you forget to do this. DO NOT have a facial, nor rub or massage the treated areas for 24 hours after your treatment. DO NOT lie down or do strenuous exercise for 3 hours after treatment. Also, avoid any exposure to a sauna, hot tub or tanning for 4 hours. Please be aware that some patients experience a mild headache. If this occurs for you, simply take Paracetamol as needed. DO NOT take Aspirin, Ibuprofen, Nurofen or other anti-inflammatories as this can increase your chance of bruising. Be assured that any tiny bumps or marks will disappear within a few hours following your treatment. There is a small risk of bruising. If this does occur, do not worry since it will only be temporary and can easily be covered with makeup. Anti-wrinkle injections take 3 to 5 days to begin to work. Therefore there may be no change evident prior to this time. The treatment can take up to 2 weeks to take full effect. Anti-wrinkle injections are a temporary procedure and at first, you may find that your treatment results will last approximately 3 or 4 months. If you maintain your treatment appointments with the frequency recommended, the duration of each treatment result may last longer than 4 months. It is a advisable to book your next session in advance – if you allow the effects to wear off, it is difficult for us to be able to see how your individual muscles reacted and therefore optimal results for your face are harder to achieve. Thank you for visiting the Wentworth Clinic website. We serve cookies to analyse traffic and optimise your experience.